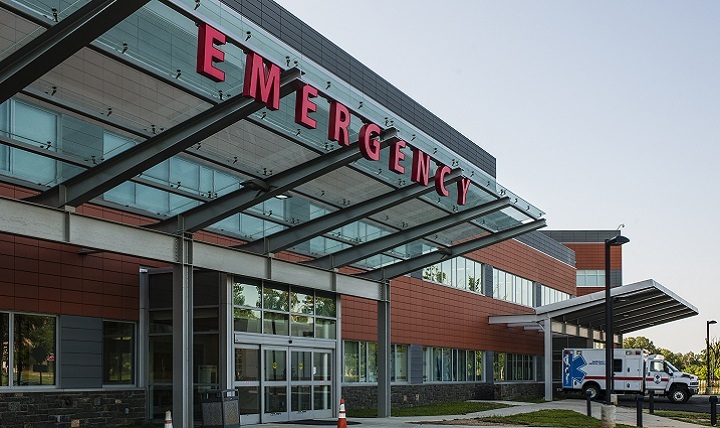 The new 28,000 SF Emergency Department included 22 exam rooms, 2 trauma rooms, Digital X-Ray, CT, ambulance garage and a rooftop helideck. The new addition is connected to the existing hospital on two floors, which provides a direct link to adjacent Radiology and Surgery departments. The project also required approximately 15,000 SF of renovations and build-outs for the administrative relocations needed to clear the space for renovation.